Since the removal of Windows Media Center till date, Windows hasn’t had an in-built solution to manage media. There’s iTunes in macOS, but iTunes for Windows is at best under-developed. 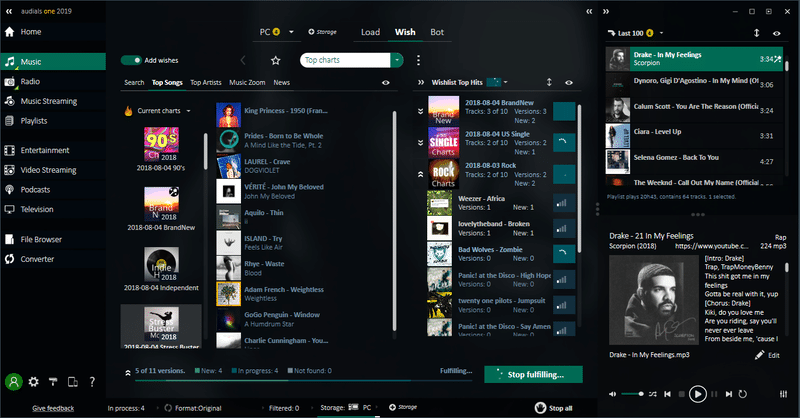 These are reasons why you need a dedicated Windows software for downloading, recording, managing and accessing media on your PC — something like Audials One 2019 to be exact. We had the opportunity to test the latest version — Audials One 2019 — recently. And, here’s our review of this amazing tool. What’s Up With Audials One 2019? 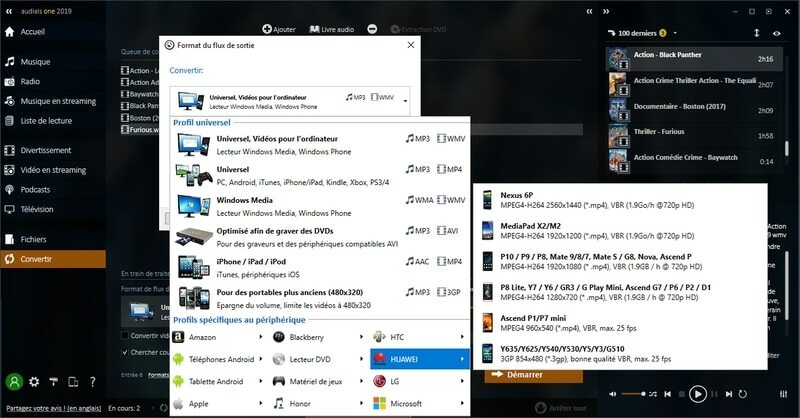 As we said, Audials One 2019 is one of the unique utility software that allows complete media management in your Windows computer. It’s obviously more than a simple alternative to iTunes. And, the latest version, which was released a few weeks back, offers some more awesome features too. We won’t be covering all features of Audials One 2019 in this review. Instead, here is an attempt to overview what Audials One 2019 is capable of today. Sad enough, Audials One 2019 is available for Microsoft Windows only. It should work on almost any device, but performance may vary. It should be noted that Audials is a comprehensive package and we are covering only Audials One 2019. Without further ado, let’s jump right onto it. What Audials One 2019 can be divided into four sections — for our convenience and organization. In each of these section, you will find useful features and ample options for customization. When we say Audials One 2019 is the best place to discover and save music, we mean it. 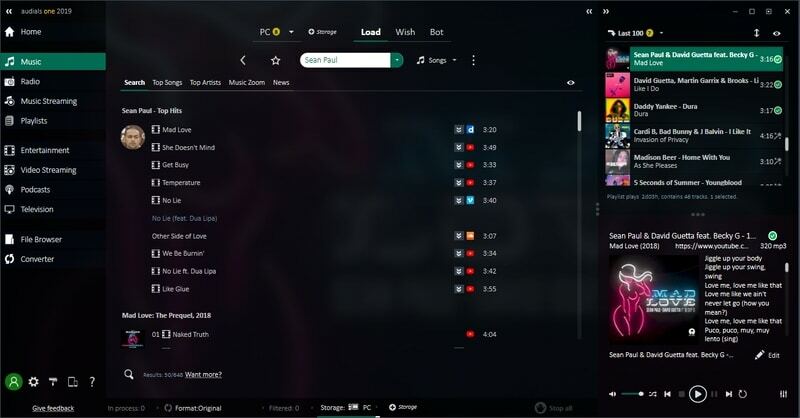 This section would help you to find, download, record and save music content from various platforms. The compatible sources include YouTube, Spotify, SoundCloud etc. Compared to other tools in the market, Audials One 2019 is quite faster. 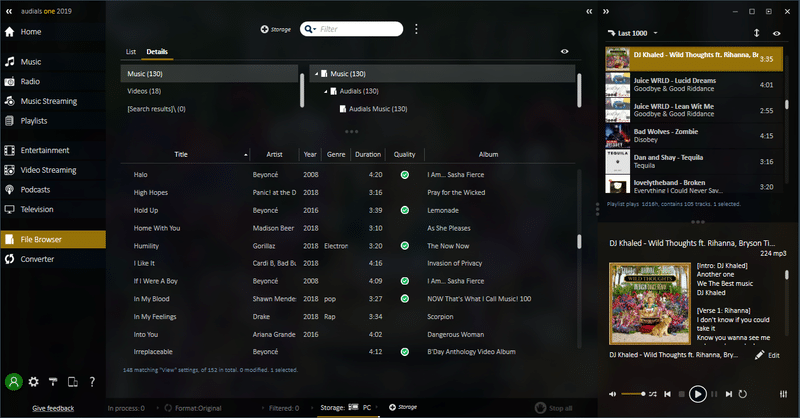 It can even give you music tracks and albums suggestions based on your current taste. Better than iTunes from every perspective, Audials One 2019 does the job very well. 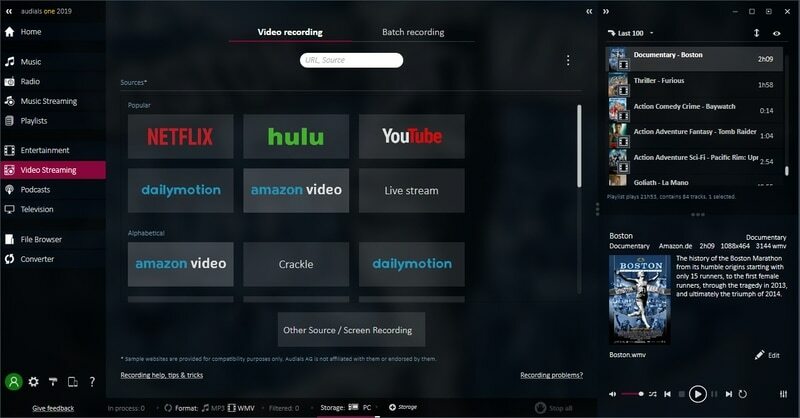 By default, Audials One 2019 comes with the utilities to download and record content from video-streaming services like Netflix, Hulu, Amazon and of course YouTube. You don’t even have to be in front of the PC. The tool will automatically download content, back to back, intelligently removing ads and other distractions of all sorts. After downloading, Audials One 2019 also converts the content into a unified format and organizes all your content the right manner. Want to save some TV-exclusive content? Audials One 2019 got you covered there too. 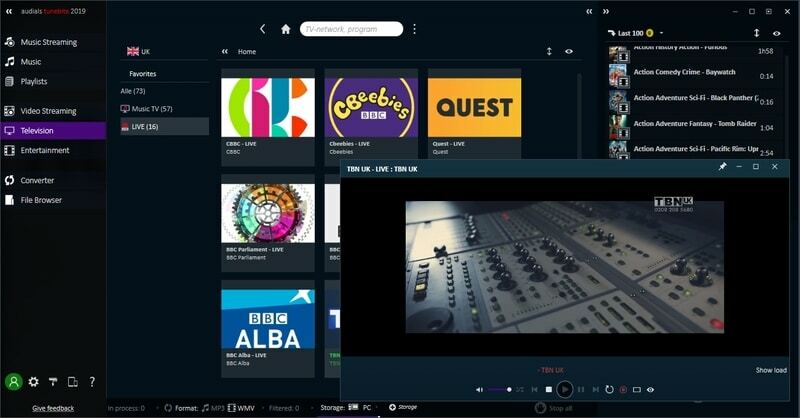 You can use Audials One 2019 to record live television streams. If you can find the online link, it works. On the other hand, if you want to go old-school with some DVR stuff, you can try that too. The smart algorithm of Audials One 2019 is also bringing some of the best podcasts from across the world. 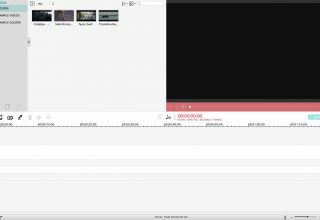 Inside Audials One 2019 is an all-powerful media converter that you can use. It comes with ultimate level of compatibility and offers the best speed. 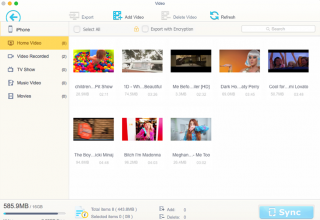 Since Audials One 2019 has been equipped for downloading various types of content, you would have no trouble in finding a supported format for your devices. If you ask us, Audials One 2019 excels the most when it comes to media management. 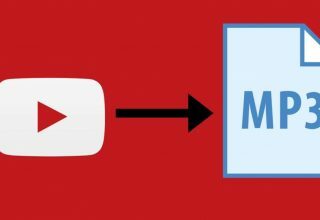 Sure, other software may help you download, record and convert media from web. However, Audials One 2019 just steals a whole show when it comes to arranging them perfectly. You can access everything from a unified interface. It feels really easy to manage everything using Audials One 2019, especially when compared to using File Explorer. 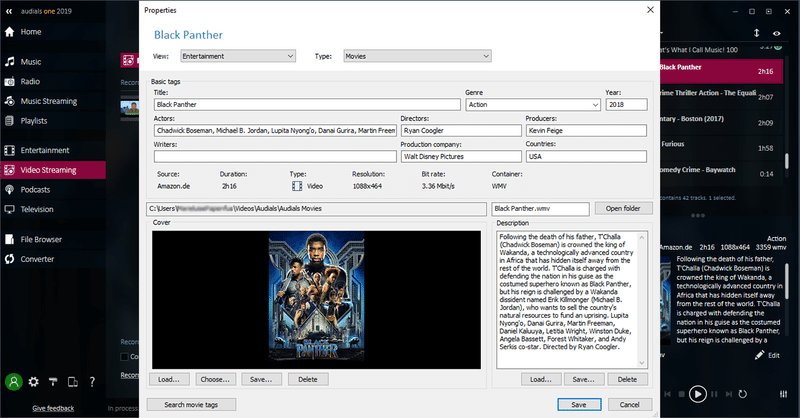 You also get a Centralized Media Library. Needless to say, Audials One 2019 has one of the best UIs when compared to other media suites in town. It is quite detailed, but we cannot forget that the tool has so many features than any other counterparts. Even so, Audials One 2019 offers a smooth workflow for professionals and newbies alike. It does not matter what you want to do, the UI helps. Is Audials One 2019 good? Definitely! Even if you are not a media junkie per se, Audials One 2019 offers an amazing way to discover, access and collect media content. The best part is that everything is arranged very neatly. You don’t have to worry about finding or storing media once you’ve bought this. Clear enough? Next article What Is Managed Web Hosting And Is It Worth It?